International Shipping from Kuwait - Compare & Save up to 70% ! For people wishing to International Shipping from Kuwait, Intlmovers offers you a convenient option to obtain a number of free quotes. 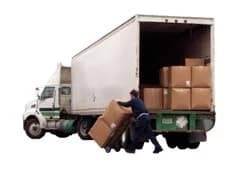 You can request up to six international moving quotes in a single request. Compare the prices and services from a number of moving and shipping companies at the same time. Save money on your international moving costs! Intlmovers saves you time and money because you are in immediate contact with the right companies. They’re specialise in assisting anyone who needs to arrange an international move from Kuwait. It doesn’t matter where in the world you wish to move. You can find the right moving company to help you with your relocation quickly and easily. It can often be tempting to assume that the cheapest quote is the best one for your needs. Whilst this may be the case, remember that the cheapest price doesn’t necessarily equate to the best option. Some additional services may be included or excluded, which can affect the total cost that you see at the bottom of the quote. By comparing value rather than simply price, you can fairly compare services as well as prices and get the best out of your budget for your international move to Kuwait. The international movers have years of experience with moves from Kuwait. 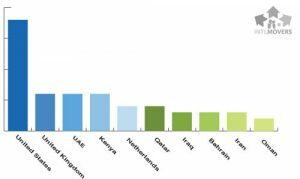 Intlmovers statistics show that the most popular moves from Kuwait are United States, United Kingdom, United Arab Emirates, Kenya, Netherlands, Qatar, Iraq, Bahrain, Iran and Oman. Our international moving and shipping companies have many years of trusted and reliable service in international relocations from Kuwait. They can assist you with all types of moving related services and help you get settled in to your new location without the stress. Whilst you might know that you need to shop around a little to get the best deal for any purchase. Sometimes you do not necessarily have the time or the patience for the ringing or chasing around. Intlmovers offers you the option of doing all the work for you. You receive quotes effortlessly with just a couple of clicks.